No glamour. No gimmicks. No pretence. Nothing but a voice singing of life's triumphs and tragedies. PIAF is a powerful musical homage to one of France's most endearing icons, celebrating some of her best known songs, threaded with Piaf's story and Bovill's own remarkable journey in the world of chanson. She takes her audience through tragic love stories such as L'Accordeoniste and L'Hymne a L'Amour, lighter numbers such as Je N'en Connais Pas La Fin and the classics Piaf is best known for. An award-winning songwriter in her own right, who has built her reputation on her interpretation of classic 20th century songs, Bovill has toured throughout Europe with her self-penned homage to the Little Sparrow. During her sold out run at the famous Spiegeltent at last year's Edinburgh Festival, Bovill realised a lifelong dream when she shared the stage with Charles Dumont, great friend of Piaf and most famously, composer of Non, Je ne Regrette Rien. They performed several songs together to close the show. 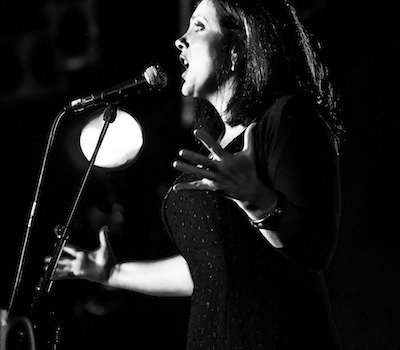 PIAF was awarded the Fringe laurels for Total Sell Out Show 2011 and 2012 and received 5 star reviews.